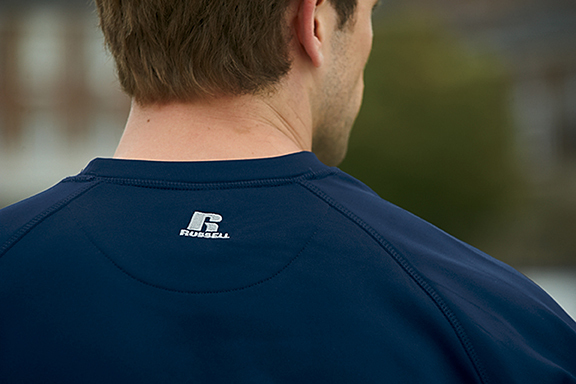 For over 100 years, Russell Athletic has supplied a wide range of America’s athletes with the latest innovations in sports apparel. 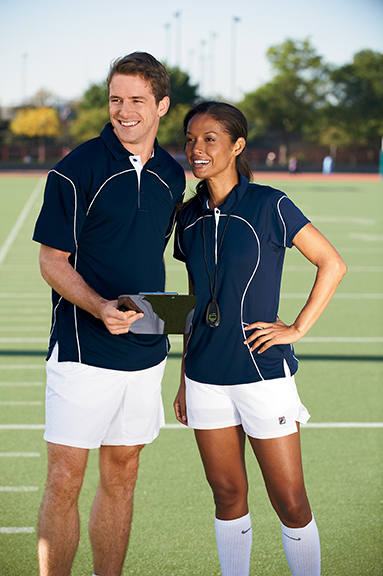 Russell Athletic is also a leading supplier of custom designed uniforms for teams at the high school, college and professional level. Russell Brands is a division of the Fruit of the Loom company, headquartered in Bowling Green, Kentucky. 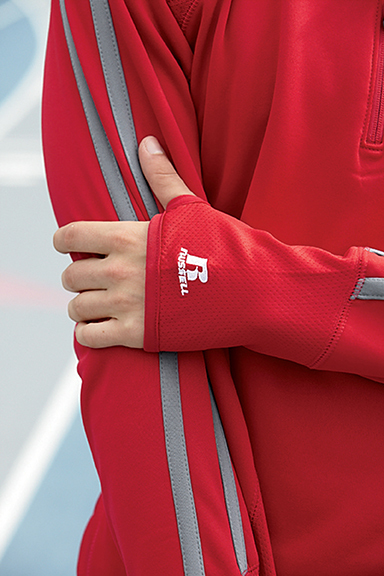 Now Russell Athletic sportswear is available through The Factory Store at Name Brand Apparel! We are proud to offer this affordable, high-tech sports apparel brand to our customers, as the styles offer high performance and some truly amazing fabric technology without the extra cost for marketing that many of the major sports brands have to build into their prices. 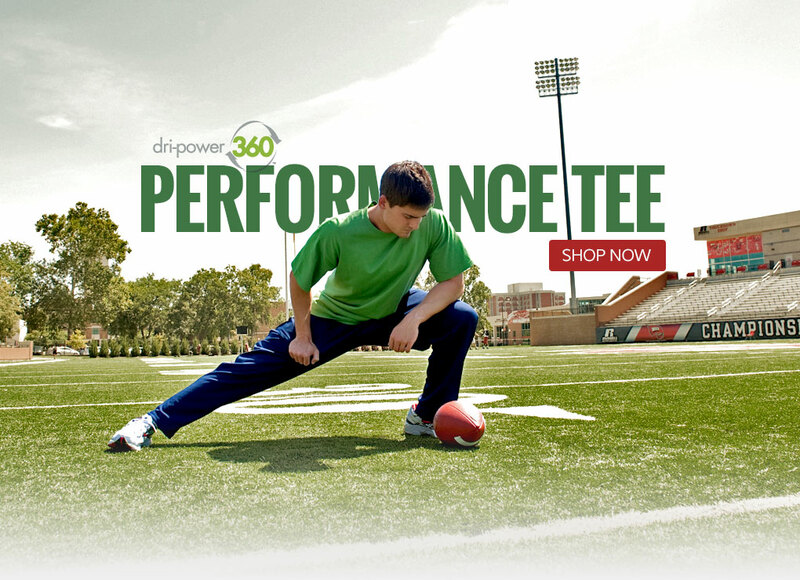 Get pro-line sports apparel without the pro-sports marketing upcharge! 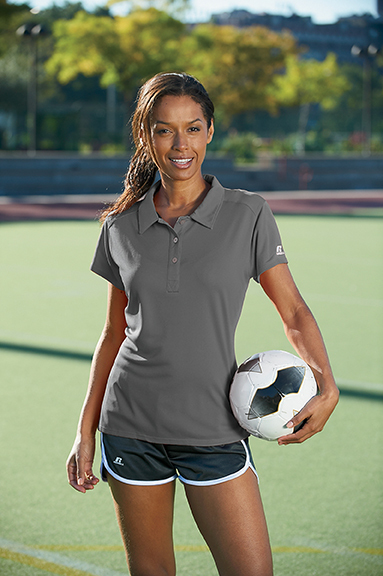 – and a series of sharp-looking collared sports shirts for men and women ranging from solids to “Team” polos (below). Of course, just about every style is crested in some location with the Russell Athletic “R” logo, a reconizable iconic design. 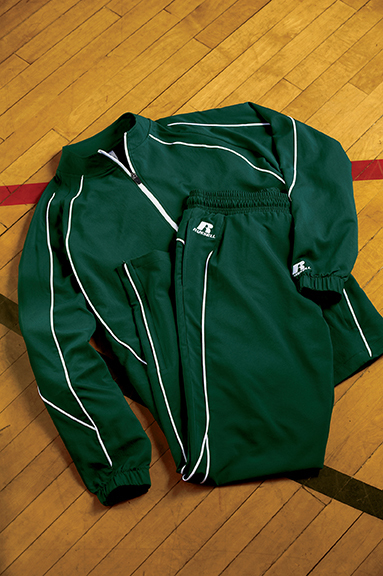 Get great deals on some cool Russell Athletic styles at Name Brand Apparel!